Physician informaticists from AMDIS say they're heartened by recent patient safety gains, but are still concerned by big gaps in processes, particularly with opioids. Hospital chief medical information officers are almost unanimous in recognizing the patient safety improvements that have been brought about by better medication management processes, according to a new poll from their U.S. trade group, the Association of Medical Directors of Information Systems. The results come amid the ongoing opioid epidemic in America. Technology vendors are trying to help in the battle. IT-savvy hospitals such as Intermountain, which has tweaked its Cerner EHR to reduce such prescriptions in the first place, and Ochsner, which has integrated an opioid monitoring tool into its Epic system, are taking matters into their own hands. More and more states, meanwhile, are passing e-prescribing laws and standing up prescription drug monitoring programs. Even with all that going on, there is a lot that can be done to further boost hospital safety initiatives, said AMDIS members, and that depends largely on bigger and better investments in health IT systems for inpatient settings. Nearly all of the physician informaticists surveyed, in a poll sponsored by e-prescribing and med management developer DrFirst, agreed that patient safety issues are less likely to occur today, as compared to five years ago. In large part, that's due to better medication administration processes enabled by technology. Some 82 percent of the CMIOs polled say such initiatives have led to fewer adverse drug events, for instance. That said, many still thought there was big room for improvement in medication management processes, and saw broader tech deployments to be a way to further safeguard their patents. Only half of the AMDIS members polled said they were satisfied their hospitals' processes, and 12 percent said they were dissatisfied. The CMIOs pointed to gaps such as incomplete patient medication histories (80 percent) and misaligned medication reconciliation and care transition cycles that lead to misinformed decisions by care teams (75 percent), according to DrFirst. The AMDIS survey also noted several other areas where bolstered technology infrastructure could improve medication safety surveillance. For instance, 91 percent of CMIOs said one of their biggest challenges was a lack of visibility into their patients' medication adherence: Pharmacies know when a prescription has been filled, but hospitals are often left in the dark. And 85 percent of the clinical informaticists polled pointed to the fact that patients aren't often active participants in the med rec process as a big culprit when when it comes to spotty medication history at their hospitals, suggesting a bigger role for more integrated patient engagement technologies. Meanwhile, large majorities of CMIOs pointed to challenges with interdepartmental workflow variations, and challenges with process buy-in, compliance and ownership as issues that could adversely impact safety. Nearly all of the AMDIS members surveyed said a holistic focus on the entire medication management process was key to building on safety improvements. 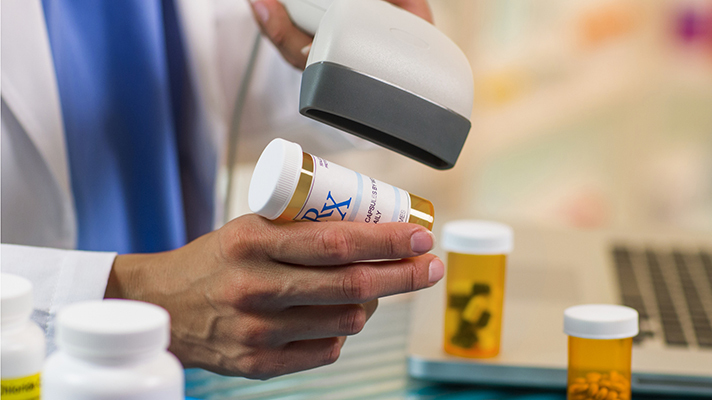 At the same time, they said reducing order entry and data validation burdens for pharmacy and clinical staff will enhance patient safety and process efficiencies, according to DrFirst. "While the industry has clearly made significant strides to improve medication management processes, CMIOs remain troubled by a number of gaps that compromise patient safety and quality outcomes," said the company's president, G. Cameron Deemer, in a statement. The survey also found a lot of concern among informaticists specifically related to opioid related monitoring gaps. Nearly two-thirds (65 percent) of CMIOs called for more tightly integrated clinician workflows to enable better coordinating the entire medication management process – including electronic prescribing of controlled substances and access to state prescription drug monitoring programs. While PDMPs have their limitations, being able to better discern patients opioid histories and EPCS data could help stem the spread of addiction and avoid harmful drug combinations. And almost half (41 percent) of AMDIS members said they had concerns about hospitals' opioid readiness, given the difficulty to get discern so-called drug shoppers from patients with genuine pain management needs. As we noted earlier this week, several technology vendors are exploring, from different angles, the potential of blockchain to help solve that challenge.